MMO MMORPG News·Articles·Assault Wave launches on Android! Assault Wave launches on Android! Independent developer/publisher Battlefront.com Inc. and Finnish game developer Aniway are proudly introducing the launch of Assault Wave for Android! Prior to this launch, this unique tactical “Rock, Paper, Tank” wargame has already been downloaded over 100,000 times (including for the iPhone and iPad). 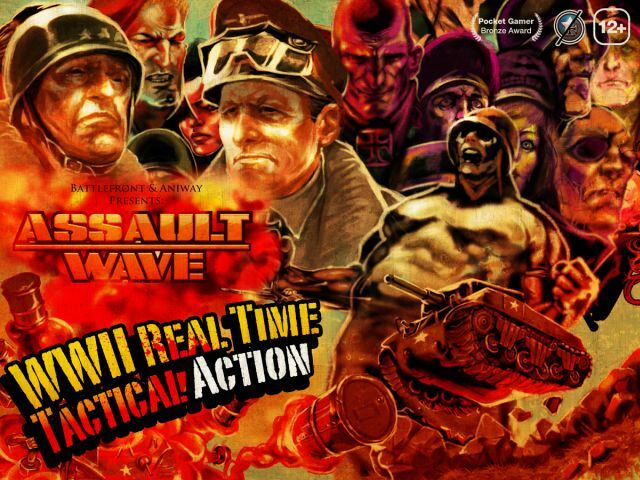 Assault Wave is a World War II themed real time tactical action game, designed especially for touch screen devices. Assault Wave is a deceptively simple game to learn, as you simply drag & drop your chosen Units to the battlefield and issue Commands according to the tactical situation; yet the game offers a multitude of tactical choices during game play.